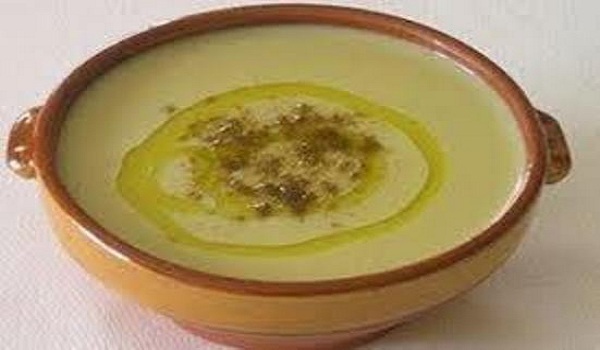 Bessara is a very popular recipe. Learn how to make/prepare Bessara by following this easy recipe. Keep the fava beans immersed in water for a whole night. Then peel it off. Take the beans with 5 cups of water and get it to boil on high flame. Later, boil it on medium flame until it is cooked. Strain the beans storing 2 tbsp bean stock. Grind the boiled beans with garlic, olive oil, lemon juice, bean stock and spices into smooth paste. Pour it back into pan and heat it. Serve it hot with the top up of chopped cilantro.